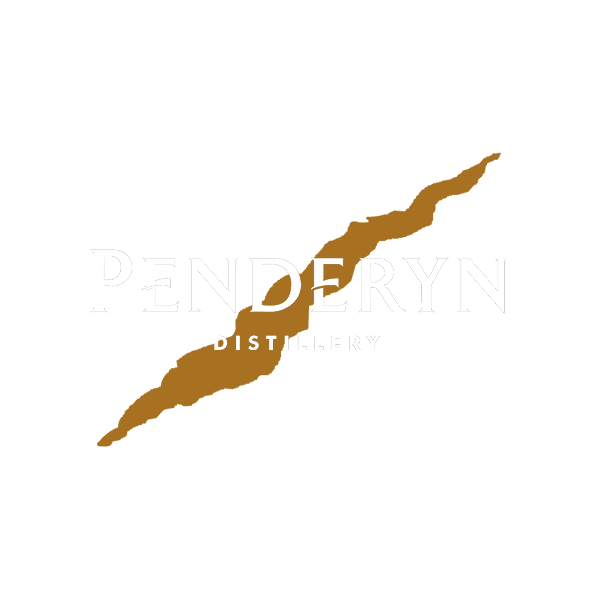 Penderyn is a Welsh whisky distillery and brand, producing the first commercially available whisky made in Wales since the 19th century. Produced at the Penderyn Distillery (the Welsh Whisky Company), Penderyn is a single malt whisky produced in several expressions, e.g. Madeira Finish, Peated, Sherrywood and Portwood. The distillery also produces the Dragon range comprising Legend (Madeira finish), Myth (Bourbon finish) and Celt (Peated). It is distilled in the village of Penderyn, Rhondda Cynon Taf, in the Cynon Valley, from which the brand takes its name. The company was launched in 2000 as the Welsh Whisky Company. Whisky had been distilled in Wales for hundreds of years, but stopped in 1894. Penderyn became the first whisky to be manufactured in Wales for over a century when sales started in 2004. It remains the only whisky currently produced in Wales. The Penderyn Distillery also produces non-Whisky products: Merlyn Cream Liqueur, Five Vodka and Brecon Gin. Brecon Gin was awarded "Gold Best in Class" at the International Wines & Spirits Competition in 2011. Penderyn Distillery is situated in Brecon Beacons National Park and sells internationally to markets such as Taiwan, Australia and France. The company opened up a visitors centre in June 2008, with Prince Charles, Prince of Wales leading the proceedings. The visitors centre now sees more than 35,000 visitors per annum.